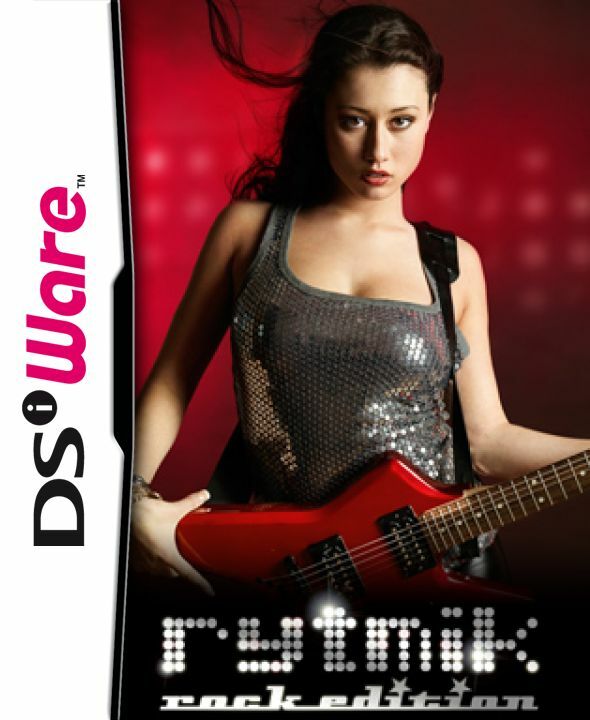 The original Rytmik completely surpassed our expectations of what a portable music studio could do within the constraints of DSiWare. 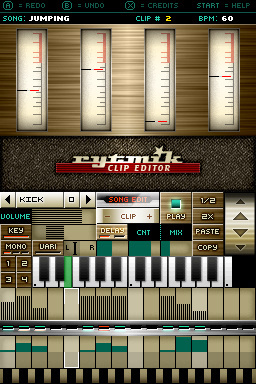 Now the follow-up Rytmik: Rock Edition is here with a very different sound and new features, but crucially more of the same surprising control and musical freedom. 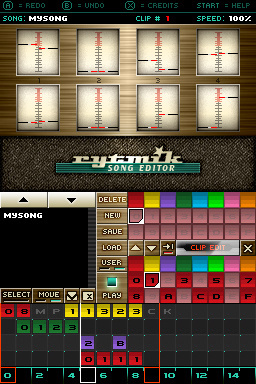 If you haven’t dabbled with Rytmik yet, it’s a music studio that lets you create your..
Rytmik Rock Edition is a pocket music station. 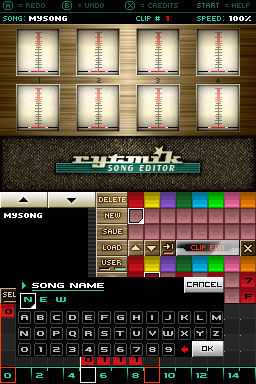 Rytmik Rock Edition is an application for creating rhythmical and melodic themes and for composing whole songs. 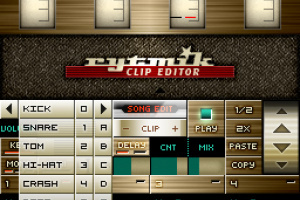 Its user interface blends the fast and well-arranged interface of classic drum machines with flexible pattern interface of popular trackers and with modern sound library. 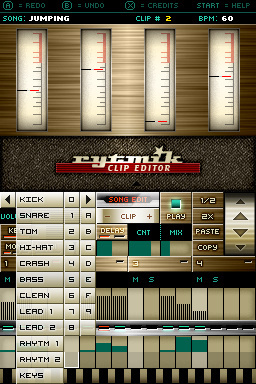 It contains more than 133 carefully selected sound samples of drum set, keyboards, bass, clean, lead and rhytm guitars instruments. 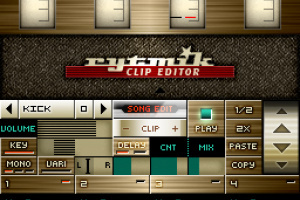 With Rytmik Rock Edition you can quickly and easily create the basic building stone – an audio clip. 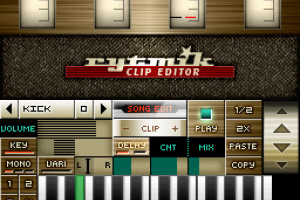 It consists of musical notations for up to four instruments that you may transpose, select their location in the stereo field, and modify their volume, polyphony and echo. 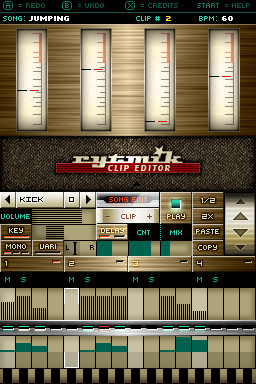 You may arbitrarily combine up to 128 such clips in four tracks and create complex pieces of music. 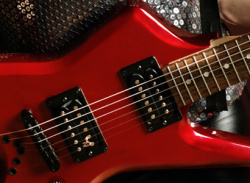 Moreover you have a collection of 10 pre-made compositions at your disposal that you may quickly compose your own pieces from. I made an awesome Rytmik font. 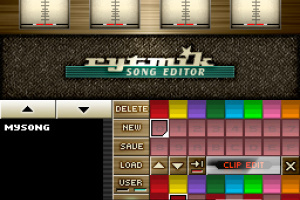 It uses the original rytmik letters, and it has more letters, hope you like it.